A puzzlebox filled with three different puzzles of each a 1000 pieces. 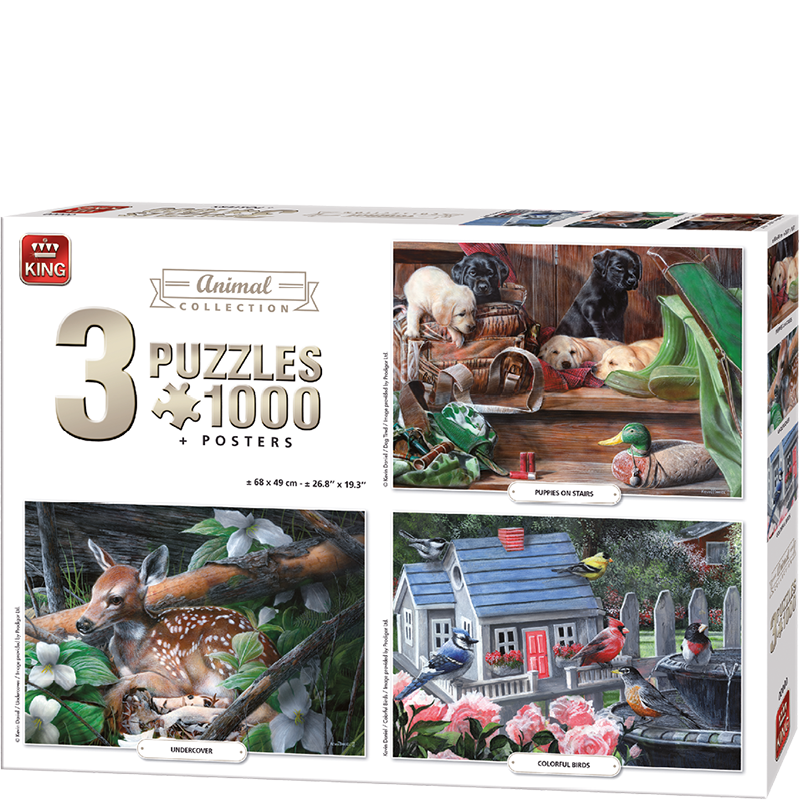 The theme of this box is animal, you will find images of Puppies, birds and a deer. Of each puzzle you will find a poster in the box to help make the puzzle.